The Cheraw High School Winter Formal will be held on February 9, 2019. This year's theme is Sequins & Bowties. Tickets will be sold on Fridays beginning in December. Cost is $20/single and $35/couple until January 25. 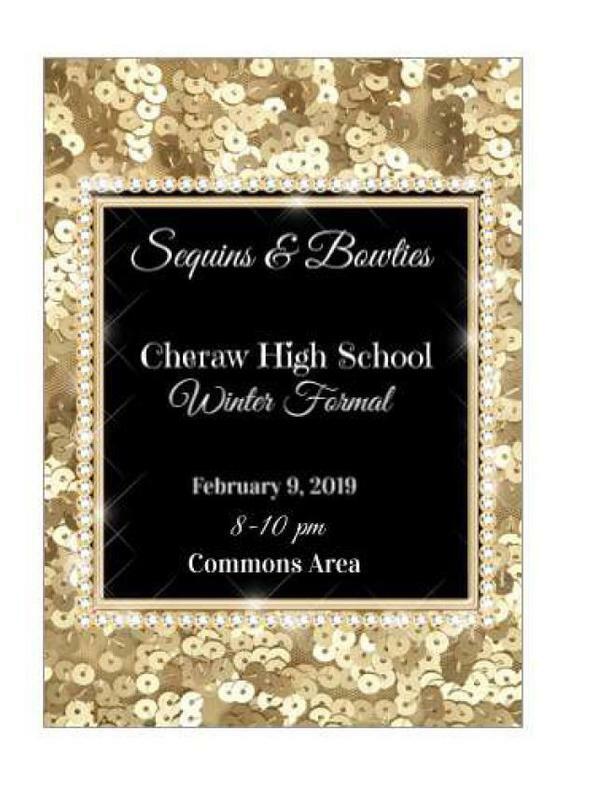 The dance is open to all CHS students; all non-CHS guests must be approved prior to purchasing a ticket. 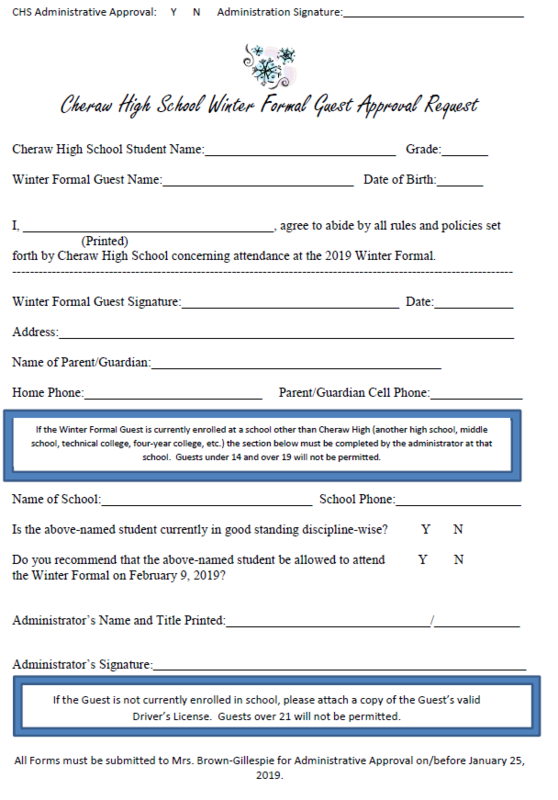 Guest approval forms are available in the Main Office and outside of Mrs. Brown-Gillespie's office. Our DJ is K-Smooth, refreshments and a free photo booth will be available.